At Cornerstone Family Dentistry we offer various options of sedation to help ease those patients who find office dental treatments stressful or overwhelming. Depending on your case, your dentist will be able to recommend the type of sedation that will help in your specific case. Nitrous sedation (commonly known as “laughing gas”) is not used to place patients to sleep, but rather it is used as a relaxant allowing patients to receive their dental treatment while learning how easy dental care can be. When patients receive nitrous sedation, a tube is placed over the patient’s nose, the gas is breathed in and in a few minutes patients feel calm. Soon they are able to understand what happens during a dental appointment and feel comfortable with their treatment. Often, after a few visits, patients feel confident and find that they no longer need the support of nitrous sedation. At the conclusion of treatment, the nitrous gas is reversed and patients are dismissed once they are fully cognitive. Nitrous gas is easily reversed and patients are able to drive themselves home safely as there are no lingering effects (as would be the case if they were taking oral medication to relax). One of the most frequent applications of nitrous gas is for young children. Children often have great fears about the unknown and sometimes their anxieties can consume them and prevent them from cooperating during dental treatment. Laughing gas allows them to relax, listen and learn. At the conclusion of the appointment patients breath 100% oxygen for five minutes returning them to their cognitive state that they arrived at the beginning of the appointment. As with adults, we find that over a number of appointments children become more confident and ultimately will no longer require nitrous sedation to complete their dental treatment. Also known as “conscious sedation,” this type of dentistry may benefit patients who have higher levels of anxiety. Before a procedure, patients take a prescribed dose of sedative as directed by their dentist, which may be a pill the night before or an hour before the procedure, depending on the case. Even though patients are awake during the procedure, most patients remember nothing or very little and will feel sleepy afterwards and will need to ensure they have someone who can drive them home. The effects will have worn off by the next day. There are a few variations of IV sedation. “Twilight” is where the patient is conscious but not aware of the surroundings. This type of sedation makes patients feel sleepy and they may not remember any of the procedure. Patients, however, are not unconscious, and a dentist is able to wake them up if needed. General sedation is the other option, though it is more uncommon for dental procedures. It is used for patients undergoing significant oral surgery or who are resistant to other types of sedation. This type of sedation makes the patient unconscious and needs to happen in a hospital or a specialized clinic like ours with a nurse anesthetist or an anesthesiologist to administer the sedative and monitor the patient’s vital signs. Always speak with your dentist before a procedure appointment to discuss any concerns you may have. 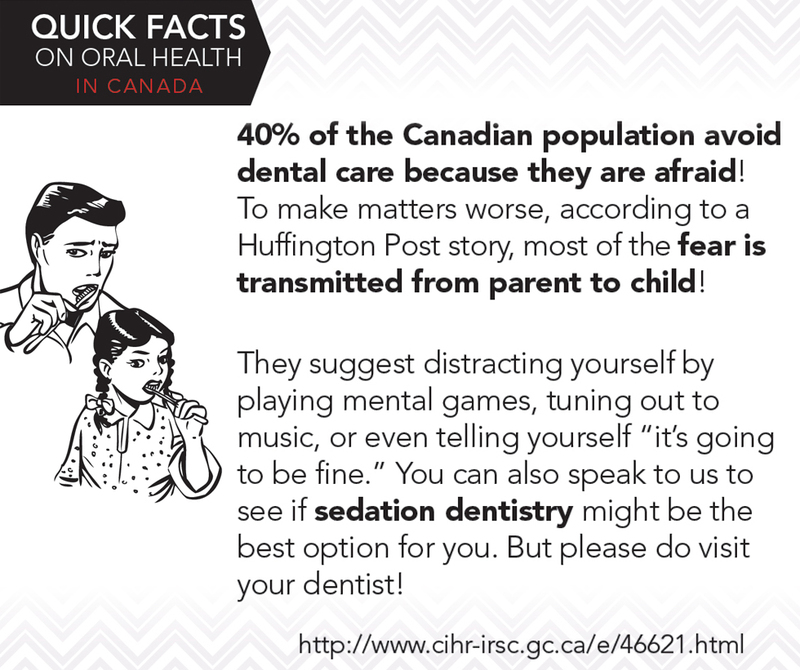 Your dentist will be able to recommend the type of sedation that will be best for you.